Safely cuts matts from your dog's coat. Head can be reversed for left-handed use. 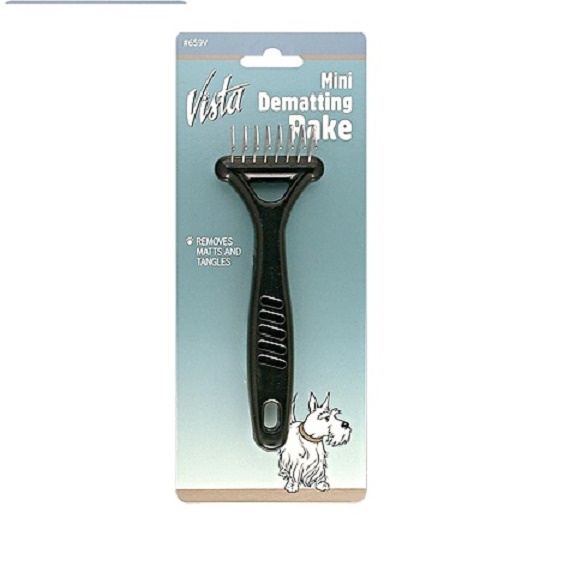 Great for medium and long-haired dogs. These are the highest quality grooming dematting tools available. Solid wood handle and hand sharpened, serrated blades make these tools strong, rust resistant, and easy to disinfect. Safety-tips glide through coats without irritating skin. Lifts coats, removes tangles and dead hair for better, faster grooming. 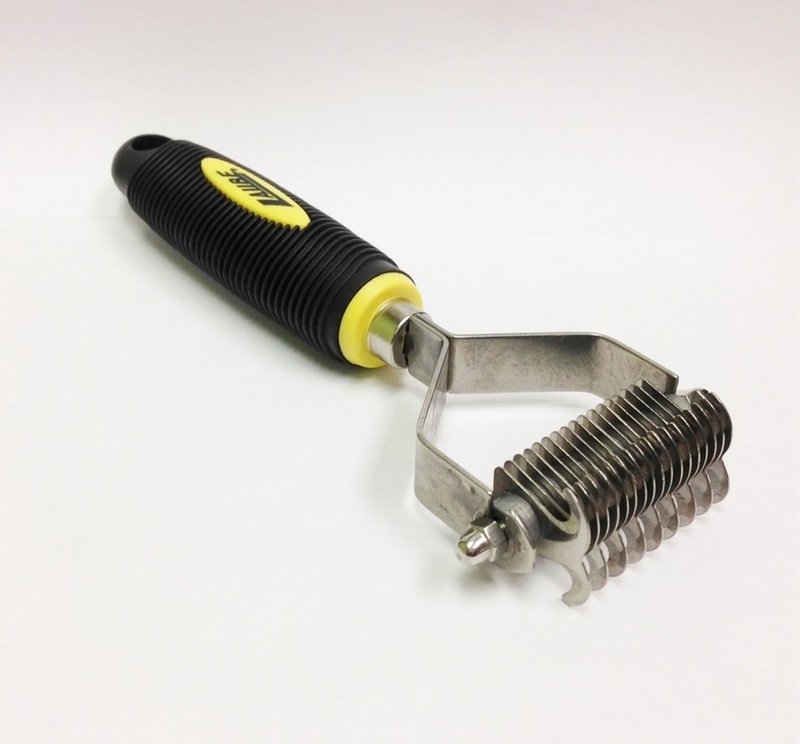 Laube tools feature a sturdy, ergonomic handle for better control and comfort when combing thick, heavy coats on all breeds. Blades can be E-Z adjusted for left or right handed application. Perfect for difficult to reach areas. 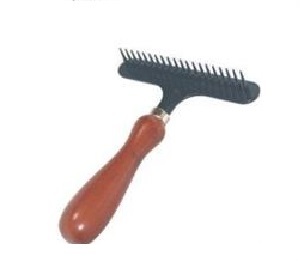 Our rubberized handled hook rakes quickly remove dead hair and undercoat. They can be used for carding on show coats too! 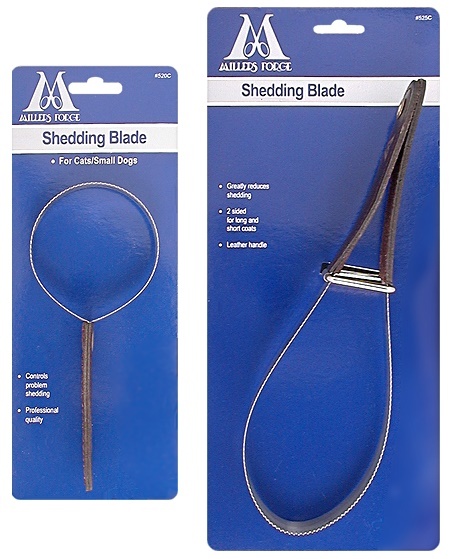 Our stainless steel blades are durable, effective, and will not rust. The Laube hook rakes are the perfect tools for thinning, dematting, and stripping all coat types. They help you to achieve a flawless, hand-stripped, smooth look and done quickly. The finest quality available; we make on the best. They come in our classic professional black/yellow. These are the highest quality grooming Undercoat Rakes. Natural wood handle, safe for the enviroment. Reduces tension in the hands, wrists, joints and muscles. Black powder finish steel teeth glide through hair with ease to remove undercoat and loose, dead hair. Can be used on wet or dry hair. Single row of teeth. The highest quality grooming Double-Row Undercoat Rake you'll find anywhere. 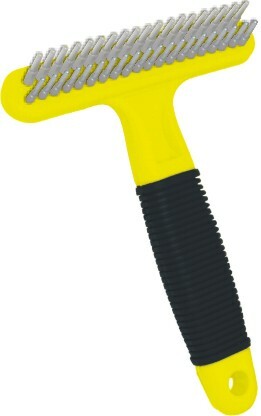 Rubber grip handle offers non-slip action while getting under the coat. Reduces tension in the hands, wrists, joints and muscles. 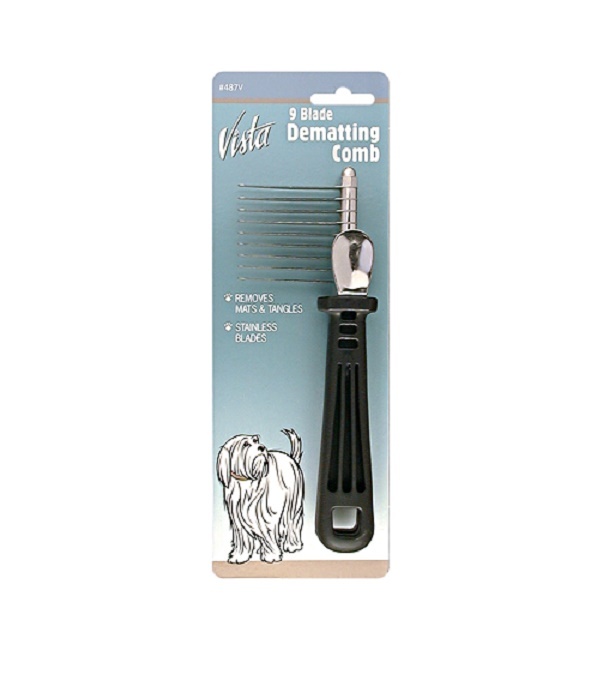 Pin teeth glide through hair with ease to remove undercoat and loose, dead hair. Can be used on wet or dry hair. Laube brand makes only the best.